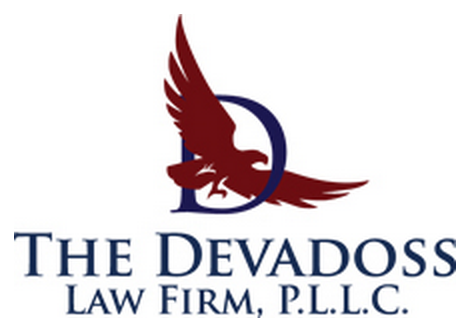 The Devadoss Law Firm, P.L.L.C. Our law firm is focused on providing comprehensive legal representation in federal labor and employment law. We represent federal government employees in MSPB cases of disciplinary action or removal. We seek justice for federal employees through EEOC claims for discrimination, harassment, retaliation or wrongful termination. We assist injured government workers in OWCP (federal workers' compensation) claims and appeals to secure their rightful benefits. A comprehensive legal representation in federal employment law is provided by our firm to our clients. We represent employees who have been discriminated against at work based upon their status as a member of a protected class. We represent those who have been wrongfully terminated, retaliated against, or are facing employee investigations for alleged misconduct. We represent clients in mediation and arbitration and at all levels of the court system. We help injured government workers obtain their federal workers compensation benefits. If you or someone in your family is a federal government employee and has been unfairly or illegally treated, consider an experienced lawyer from our firm for legal representation. Bobby Devadoss formerly worked as an attorney for the Federal Labor Relations Authority and later took a position with the Federal Aviation Administration before opening his own law firm. With offices in Dallas, Washington, D.C., and Atlanta, Mr. Devadossrepresents federal employees nationwide in disciplinary proceedings (MSPB), civil rights advocacy (EEOC) and work injury claims (OWCP). He also counsels labor unions and governmental agencies. Debra Hauser is a senior attorney with our law firm and has a passion for representing federal employees with their work-related problems. Ms. Hauser is a graduate of Texas Wesleyan University School of Law and holds a Masters Degree in Interdisciplinary Studies. She represents federal employees nationwide and is a member of the American Bar Association. Stephanie Glynn Bernstein is a Senior Litigation Counsel with our law firm and she also shares our passion for helping federal government employees with their work-related problems. Attorney Bernstein is a graduate of Emory University School of Law and she has served as an intern for U.S. EEOC Judge as well as an intern for the U.S. Department of Labor, Office of the Solicitor and the U.S. Senate. Along with her colleagues from the Devadoss Law Firm, Attorney Bernstein exclusively represents federal employees nationwide with all of their labor and employment issues.